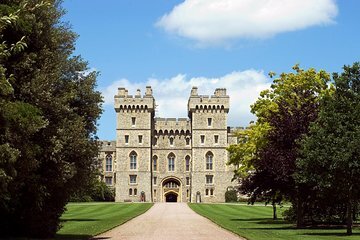 Bezoek de historische stad Windsor tijdens een tour van een halve dag vanuit Londen, inclusief transfers van en naar het uitbundige Windsor Castle, de officiële residentie van Hare Majesteit Koningin Elizabeth. Bewonder de machtige vesting, gebouwd door Willem de Veroveraar in de 11e eeuw, gluur naar de koninklijke slaapvertrekken en bekijk het poppenhuis van Queen Mary, slenter vervolgens door de prachtige tuinen en geniet van de vrije tijd in Windsor. We had just over 2 hours on the season shoulder so adequate time to visit the State Rooms and St George cathedral with audio included. Bus takes you to train station and guide to entry. Bus trip back to London. Definitely takes the angst out of getting there yourself. 2 hrs is hardly 'Half Day'--arrived at 11am, back to bus at 13:15. tour guide was 15 min late to start trip, so we got to Windsor too late to see guards parade. Not the Guide's fault that Queen Mary's Doll House was closed, and that was very disappointing. Tour is self guided with head phones which are very easy to use. I was extremely pleased to see as many rooms as I didn’t expect so many open for public viewing. My favorite is the Chapel, and not because of weddings but the history and burial chambers. My advice for August—try to avoid the holidays and the eeeks before start of school or else you will wait in a long line even though you have a pre arranged tour with tickets. Our wait was1 1/2 hours, but once you get in there is no line. It was definitely worth it though. 45-50 minute ride to Windsor from London. When we pulled into Windsor , tour guide said we would have 3 hours to tour castle and town of Windsor. Tour group did not have correct booking information for our group , wasted about 20 - 30 minutes to straighten out. Also lines were very long. Waited about 45 minutes to get in , on top of the delay in booking. So only had about 1 hr. 20 minutes to tour, which was not long enough. Would recommend to tour company to add at least an hour to the tour. We had ro wait for more than 30 minutes at the bus stop until the coach arrived. The tour as o.key!! super visite, on s'est régalé, la guide, je ne me rappelle plus de son prénom, adorable, elle a pris le temps de nous parler en Français! The bus was on time and skipping the queue was great. Once I was there the castle, the chapel and the village were great. Definitely worth getting the audioguide and spending the time looking around. There was minimal information given on the bus as if it was just a bus transfer service. This was quite disappointing, but the circumstances were beyond the control of the tour guide. 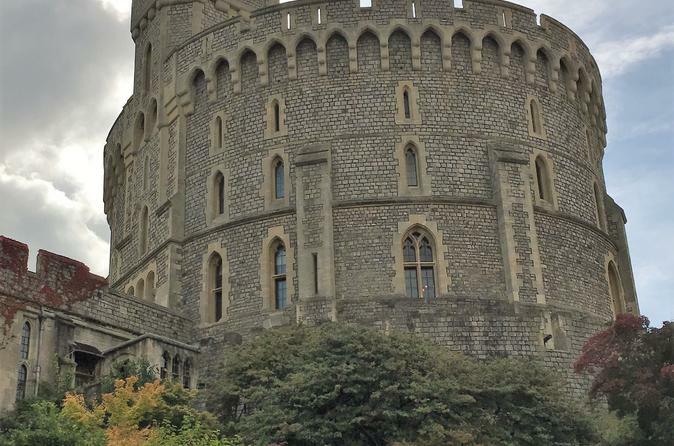 It was extremely crowded with very, very long lines, initially for security and bag checking, then to get into Windsor Castle. As such, it was quite rushed, and we only got to see half of what we wanted to see, which meant Queen Mary's Doll House wasn't part of the tour due to time constraints. The bus ride included an interesting overview of British history and royalty over the past few centuries on the way out to Windsor. I'd recommend a longer day trip, if possible, or go at a less busy time of the year for tourists if you want to do this tour justice and see it all of it without being rushed and missing half of it. DO NOT use Anderson Tours!! AWFUL!! The disorganized director Maria was late picking us up then took 30 minutes to check everyone off and let them onto the bus. She had the names all mixed up, not in any order. Proceeded to drive to Windsor, she's telling us she had a map That's not very good but will have to do...it was a hand drawn sketch. Reluctantly told us some facts while on the way...she said This is not my job to tell you this but... When we got there, she had us line up and march 2x2 into the city so she could keep count of our small group. She yelled at everyone constantly to stay in formation. It was humiliating! Then we had to get into the line to get tickets. Isn't that what I paid for to avoid?! Wasn't that her job as a director of a tour?! We had to wait 1 1/2 hours in the line to get our tickets then another 45 minutes to get through security. I understand that security was necessary but the ticket line was what I was led to believe I was paying to avoid! Instead I paid for a bus ride and a humiliating walk through the town. After spending over 2 hours waiting in line, Maria told us that she was feeling generous and would extend our time there by 30 minutes. wow. That left us with less then 2 hours to see the castle and town. That was impossible! Instead, we ditched Maria and decided to take the train back into London ourselves. DO THAT INSTEAD OF PAYING FOR THIS!! The train was easy and relaxing. I am so angry that I paid such a high price for a one way bus ride. Anderson tours is a huge FAILURE!!! !